Uniting communities to transform our schools into safe, healthy and sustainable learning environments. Join an international movement of nearly a million volunteers in 80 countries to celebrate the central role that schools play in preparing the next generation of global leaders in sustainability. Register the project to be eligible for a mini-grant and Green Apple Awards. 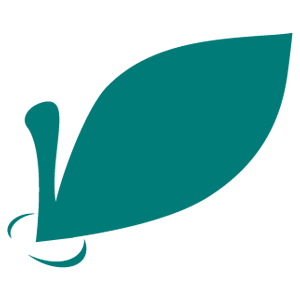 Get a fundraising boost by registering your project on our website and on DonorsChoose.org, and linking the two. Shout it out on social media using #GreenAppleDay to show others worldwide your school’s day of action and inspire others to join in. Subscribe to our newsletters to keep up with what’s new with Green Apple Day of Service. 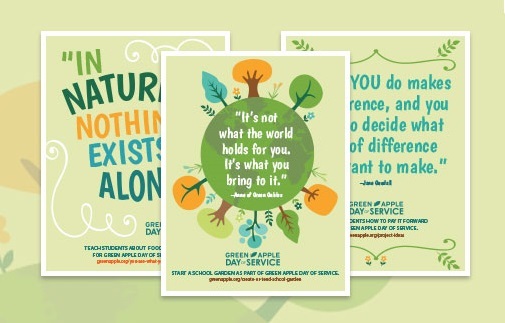 Download our free poster set featuring quotes about sustainability and participation. Looking for ideas? Here are some great ways to advance sustainability at a school. For technical resources about green schools, visit centerforgreenschools.org/resources. Get guidance on the full breadth of hosting a Green Apple Day of Service project, from beginning to end. The project guide includes event flyers, planning checklists and social media tips. Outfit your volunteers on Green Apple Day of Service with our exclusive, organic cotton T-shirts, and thank them for their contributions with Green Apple tote bags, water bottles and pins.